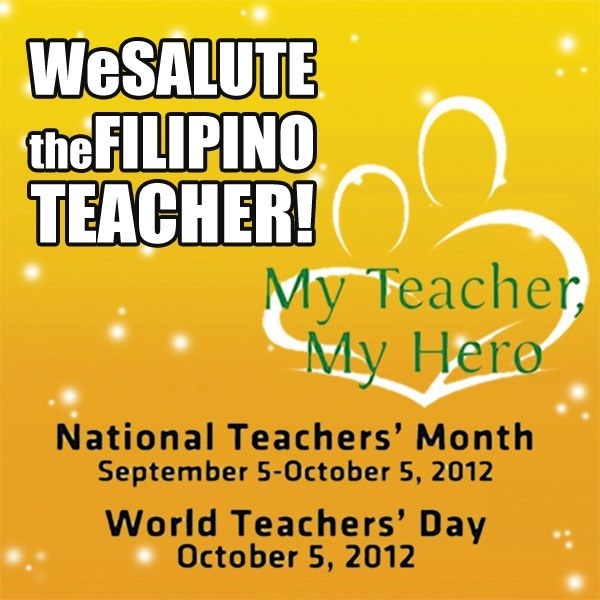 Honor our teachers through a photo, a poster or a video and make it viral for the world to know. This is the essence of the 2012 National Teachers’ Month and World Teachers’ Day nationwide poster-making, photo and video-making contests launched by the Department of Education in partnership with Smart Communications. Education Secretary Br. Armin A. Luistro FSC said the contest hopes to encourage elementary pupils and high school students from public and private schools to creatively express how much they honor and value their teachers through the use of multi-media. “Our teachers are actually our heroes, so it is just proper that we give them the recognition they have already earned and truly deserve,” Luistro added. As online contests, the outputs of the students can be shared in a wider community, making teachers’ day celebrations as widely observed as Mother’s Day and Father’s Day. “This will also help build public awareness and support on the National Teacher’s Month and World Teachers’ Day every October,” he explained. The poster making contest is for elementary pupils while the photo and video-making contest are for high school students. The entries which should be submitted on September 12, 2012 and the finalists to be subsequently chosen will be uploaded for public viewing and online voting. Each school should submit only one entry per contest category. Except for the video contest, an entry shared by two or more individuals is not allowed. First place winners in each of the categories win P10,000 and a certificate, second prize winners get P8,000 and a certificate and third prize winners will bring home P5,000 and a certificate. The teacher who inspired the winning entry as well as the school head shall also receive a certificate and a prize. Official contest entries will be open for online voting starting September 15 to September 30, 2012. 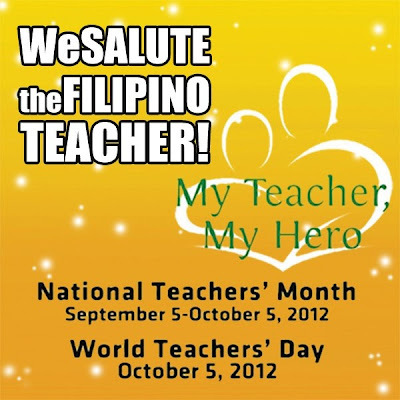 The awarding will be on October 5, 2012 during the World Teachers’ Day celebration at the Atrium Limketkai Center in Cagayan de Oro City. Thanks for sharing this Teacher Joy. There are so many unsung heroes out there who need our support. I hope this contests' good intention will help boost the morale of the teaching community.